Would your family like to be part of our APG (Alternative Peer Group) —Wild Hearts Youth/Young Adults Wilderness Excursions “WHY WE...” walk, hike, ski, ride, sail, camp, paddle, swim, dance, bike...laugh, cry, rest, sing, share, love, hope....live? Please let us know if your son or daughter and family would like to participate by emailing us or calling us directly at (503) 810-9100. Ski Trips, Volunteer Training, and Calendar! Lovers of Nature, Kids and a Healthful Life! We are creating an epic calendar for PBJ Wild Hearts Youth/Young Adult Wilderness Excursions “WHYWE” for 2019 and we would love for you to be involved! We are collaborating with some wonderful organizations! Let is tell you about OYO! OYO (Oregon Youth Outreach) is organizing 2 ski/board trips planned to Cooper Spur Mt Hood on 2/9 and 3/9. This is an amazing program here in Oregon with a leader who is passionate about supporting kids and getting them outdoors! We are working with other generous organizations to plan a multi-night raft trip this summer, a section hike of the PCT in September and we are also collaborating with vibrant organizations such as FIR (Families In Recovery) with similar missions that support a cohesive community for at-risk young people who are committed to a sober and healthful life to ...sail, raft, hike, camp, paddle, backpack, climb, learn and even work with horses, mules and donkeys...and much more—Love it!!! Do you have an idea? Let’s build this together! We are at the beginning grass roots on this and all energy and ideas are welcome! You in? If you are ready to be committed as a volunteer leader or participant on one or more of the upcoming Wilderness Excursions or want to create and lead one yourself, we welcome you to step up! One prerequisite to being involved on “the trail” is some basic training! We are asking that each PBJ volunteer commit to taking a FREE course in Mental Health First Aid and an introductory class Talk Saves Lives. Go to the below website for dates and time and locations near you for adult and youth courses. Since we are working mostly with youth, teens and young adults, the Youth Course is recommended, but either is fine if your schedule dictates. The MHFA courses are 8-5pm for one or two days in Beaverton, Portland, Vancouver, and Newberg. There are free courses in or near anyone’s city. Talk Saves Lives is Free and only 45 minutes and is offered through AFSP— American Foundation for Suicide Prevention. Talk Saves Lives with AFSP. This is being offered on 2/23 Saturday at 1:30pm—2:15pm with Drift4theCause and PBJ, location to be announced. Let us know if you want to be a part of Wild Hearts WHYWE and the alternative peer group (APG) we are building within our clean and sober community—and if so which course you are signing up to take. Grab a friend and let’s do this together! WE is What’s Essential. When we do it together, magic happens. It’s “WHY WE...hike, ride, sail, ski, camp, paddle, walk, swim, dance...breathe, laugh, love, hope...heal. Fun House Variety Show for PBJ is a fun, original Variety Show with many local artists. Dancers, tap dancers, singers, Italian singers, circus performers and a lot of good healthy laughs. It will be a laugh a minute! NOW - PLEDGE DRIVE TO CELEBRATE PARKER’S BIRTHDAY! Rim2Rim Grand Canyon Trek for Wilderness4Life. Goal: $1 for every foot in elevation change: $10,141. Pledge drive begins on Parker’s Birthday 9/26 and ends on the South Rim with blisters! We are hiking to send NW Kids In-Crisis to Wilderness Therapy Programs. And to advocate for mental health awareness & suicide prevention. Please donate any dollar amount you can TODAY! CLICK HERE to go to the Donate Page. We will be hiking with one of our partnering premier wilderness therapy programs— Anasazi Foundation, and we will attempt to hike 25.5 miles in one day! Omg. Hike Date Spring 2019 It’s Happening! Join Parker Bounds Johnson Foundation at the Out of the Darkness Walk Oct 6, 2018 Portland Oregon 8:30am-12:30pm. 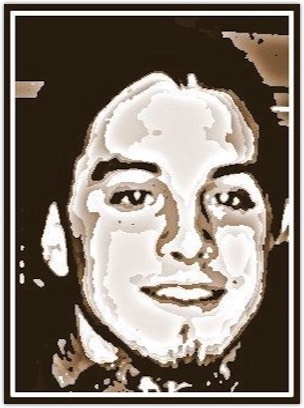 and enter Parker Bounds Johnson Foundation in the search bar and it will take you to our team page. Please wear your Pinecone tee or buy yours for just $25 at our Pine Cone event tent in the courtyard at the Veterans Memorial Coliseum where we will gather for a team photo before the walk! Our annual event is HAPPENING SOON! Find out more by CLICKING HERE! This is an auction item at our Annual Way to Wilderness Dinner & Auction! Tickets are on sale for the Seattle Water Lantern Festival presented by One World. One World Water Lantern Festival is an amazing experience where you'll witness the magic of lanterns as they light up the water. This event will be coming to Seattle on Oct 13, 2018 at The Bathhouse Theatre. Get your tickets now before they sell out! Spring 2019 - RIM2RIM Pledge Drive for PBJ! RIM2RIM Pledge Drive for PBJ! Hike Date Spring 2019. It’s Happening! There are numerous ways you can help- including ways that help you save money while you shop online. 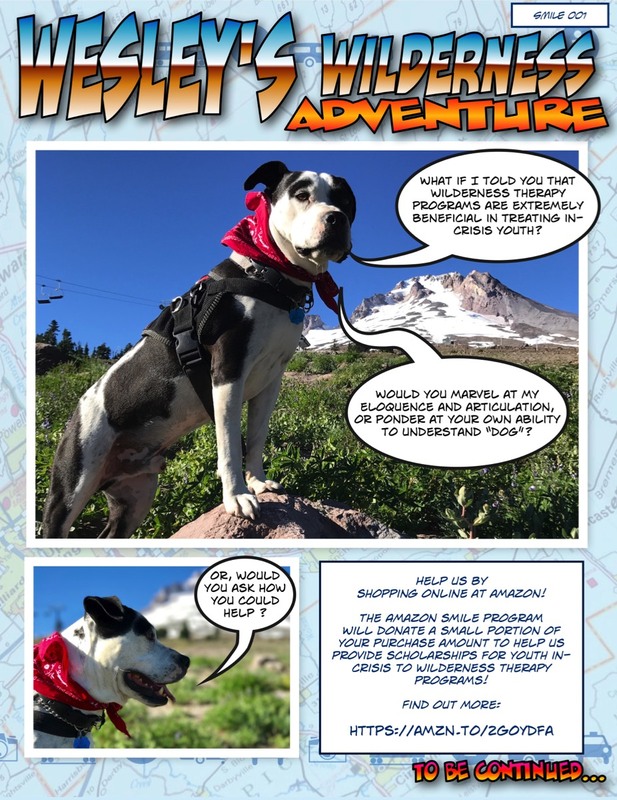 Amazon Smile will donate a small portion of your purchase amount to help us provide scholarships for youth in-crisis to wilderness therapy programs. Check out Wild Hearts for more info. Click Here! It is the mission of Parker Bounds Johnson Foundation to serve at risk young people and their families through Outdoor Behavioral Healthcare programs. Families in Oregon and Washington who have financial need are eligible to receive support that we are able to provide through generous donations. The Ponderosa Pine is a tree that grows taller than all others in climates that would seem unable to support such life. In our recent history, these trees were landmarks of hope and encouragement to many pioneers coming west on the Oregon Trail. This pine cone fell from the branch of a mighty Ponderosa growing in arid earth under the central Oregon high desert sun. The cone's scales follow the same spiral curves as those observed in sunflowers, seashells, and the arms of our Milky Way. This beautiful recurring geometry is described mathematically by the Golden Ratio and the Fibonacci Numbers, which can be observed within our own bodies and throughout our natural world. Its symbolism has inspired humanity through time and across civilizations. From ancient Rome to ancient Mesopotamia, it is found in art, architecture, and spiritual symbolism. Osiris--The Egyptian god of transition, resurrection, and regeneration--carried a pine cone staff, and many Hindu deities have been depicted holding a pine cone in their outstretched hand. 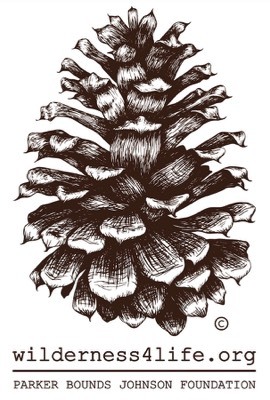 The pine cone has been historically associated with enlightenment, spiritual awakening, and the "third eye." The pineal gland is thought to be the physiological center of the "third eye", and resembles a tiny pine cone itself. A single cone contains seeds that could potentially grow a whole forest of Ponderosa Pines. It opens with the warmth of the sun and closes with the saturation of rain, waiting patiently for favorable conditions. May the pine cone's beauty and mystery inspire wonder, curiosity, strength, and the sensation of interconnectedness between you and the natural world like is has inspired me. Provide financial assistance to young people and their families in need who may not otherwise afford Outdoor Behavioral Healthcare treatment programs. Provide information to families about available therapeutic programs. Create community and support through on-going local events that promote a sense of belonging, a healthful lifestyle and connection to the wilderness. Accredited Outdoor Behavioral Healthcare programs provide an impactful and rapid first step for our at-risk young people struggling with addiction and related emotional challenges. Most parents don’t even know these therapy programs exist, let alone the huge benefit they provide to our children and families. We want all families to know that there is help, and where they can go to get it. Sadly, research shows, that the risk of suicide in young people is higher when addiction is involved. That is why we direct 20% of funds raised by the Parker Bounds Johnson Foundation to AFSP. AFSP is doing leading-edge work across our nation to prevent suicide. Finally, our “Wild Hearts” brings our kids together in local adventure, nature and the outdoors, to provide a positive, sober “community” for our kids. An alternative to the old patterns of life left behind prior to treatment or an alternative to current negative patterns. How Do We Help and Who Do We Help? We provide financial assistance to Northwest families for their children in-crisis so they may receive care and healing through wilderness therapy programs. Our grants are designed to help families with financial need so that their child may benefit from the programs and services of our partnering wilderness therapy programs.These are young people ages 9-26 who are struggling with mental, emotional and behavioral challenges. Our program partners will match our grants 100% for those families that demonstrate financial need and as funds are available. Our goals are to promote the proven effectiveness of wilderness therapy, highlight programs that meet highest standards of quality in the field, advocate for mental health awareness and suicide prevention and to create a supportive community that encourages a healthful lifestyle and connection with nature. Wilderness therapy or more formally termed--Outdoor Behavioral Healthcare--is a highly comprehensive therapeutic treatment that uses individual therapy, group therapy, adventure therapy, and a family involved approach with immersion in nature as the setting for supportive healing. It is proven highly effective in the immediate, short and longer term, it is turning young lives around and helping our young and their families heal using newly learned tools and coping strategies that promote self care, self confidence and hope. It is saving lives, saving families and saving our communities, one child at a time. Why is Wilderness Therapy Needed? There is a crisis in our communities within our young population that we must come together to help solve. Families need real support to help their children. Current data (see www.obhcenter.org) shows an alarming number of kids are suffering from underlying feelings of depression and anxiety at not-seen-before levels. There are many reasons for this, and here are the most compelling you have undoubtedly seen on the news, heard about in your community, or experienced in your own family. Our young are being exposed to very powerful substances that have become widely available and many are self-medicating with these dangerous and addictive street drugs and too-easily-obtained prescription medications. Many kids isolate alone in front of a computer for hours playing highly addictive and numbing video games while their families watch them withdrawal from social connections and activities they used to enjoy. Our kids are attempting to self-soothe with destructive behaviors such as cutting and other forms of self harm. Our teens may be struggling with gender identity. They may be acting out in response to the torment of being bullied. Or they may become the bully as a way to hide their pain of feeling powerless. They may be having difficulty staying in school, not able to maintain a job or are facing related problems with the legal system. Many are trapped in addictive behaviors without access to tools and effective support to overcome. And they are dying by overdose. The opioid crisis is real. And sadly, research shows, that the risk of suicide in young people is higher when addiction is involved. What you hear on the news is not an exaggeration. And it affects us all. Our kids may even be suffering the adverse and frightening mental health symptoms from undiagnosed traumatic brain injury caused by concussion while perhaps playing for years the sports they love while we parents innocently watched on. And we all know, too, the overachievers, the straight A students, the star athletes, the life of the party, the empaths, or everyone’s best friend who may be hiding their struggle because of stigma and shame. Perhaps most heartbreaking of all is the tragic suicide death of young people in our own communities. These are our kids who need our collective support to overcome their heavy challenges so they can prosper in life. Why did we begin Wilderness4Life? Our son Parker is one of those bright lights among us who battled for his life against depression, anxiety, mental health challenges, substance abuse, addiction and the probable damage of multiple sports concussion injuries. He took his own life to find relief from his suffering at the young age of 23. But in the devastating wake of his death and our profound grief, we are inspired to honor Parker’s legacy and deepest wish by helping other struggling young people and their families--so they may find healing and hope. It was in his heart to always want to help others. Upon his graduation from an excellent wilderness therapy program, he proclaimed that “...every kid graduating from high school should go to Wilderness.” He went on to say that “...even adults should go!” Then he said, “It saved my life.” We believe it gave us 5 more years with our son that we would not have had. Wilderness gave him 5 more years of hope. During one of our last family Sunday dinners, he said, “Wouldn’t it be ‘tight’ to send just one kid a year to Wilderness?”...“Let’s do this--let’s start a foundation.” And so we did.